I always love to keep little gift bags on hand that I can decorate to give a gift and add to that personal touch. Today for my project, I went with a country feel making using of a kraft colored bag, a doily, and some gorgeous butterflies from Leaky Shed Studio! I used the Spring Butterfly Small Set and just used adhesive on their body so that that I could pull their wings up and make them look like they are flying! 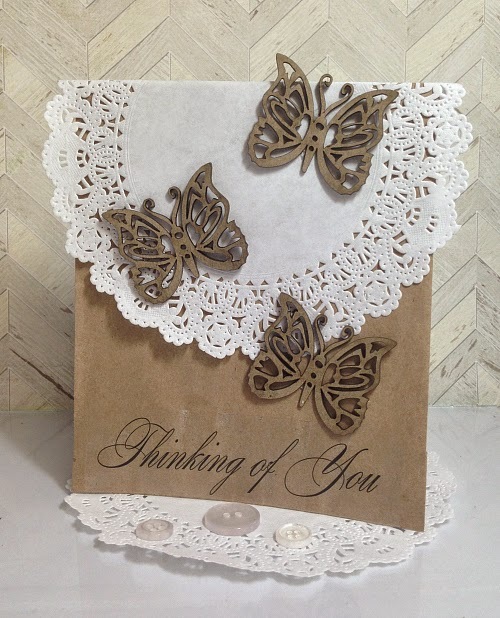 Adding a simple doily, gorgeous butterflies, and a sentiment is all that it took to take a plain boring brown bag from drab to fab! 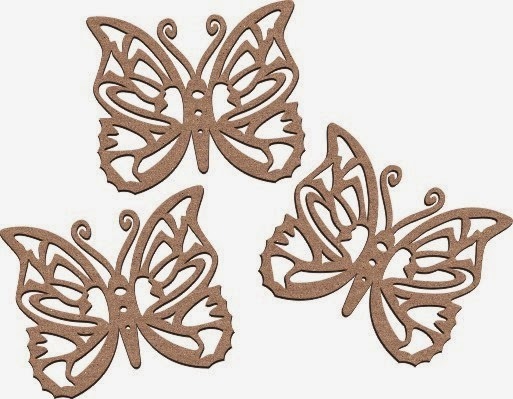 Because they match the kraft bag so nicely I left my butterflies in the raw! If I'm being honest, I kind of love raw chipboard! Next time you are looking to jazz up a gift bag think about your Leaky Shed Studio supplies and how you can use them too! 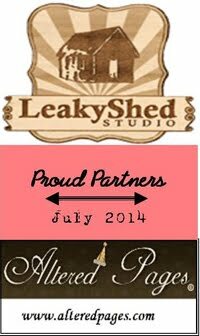 Have a great week Leaky Shed fans! My First Leaky Shed Studio Creation!!!! A notepad to fit my purse--Celebrate Life!